There are some very peculiar notions of what constitutes ‘doctrine’ in the Bible. Is doctrine a set of major teachings that can be counted on two hands? Is it possible to hold conflicting interpretations of doctrine and yet be true to scripture? In this context ‘commandments’ refers to His orders and precepts, injunctions, prescribed rules, etc. In other words, it shares the same meanings as found in the Old Testament. Can’t get clearer than that. Thus, keeping the commandments of Christ/God is proof that we love Him. What are the ‘commandments’ (entolē) of Christ? They are everything He has ever said… that is, the entire Bible. And the whole Bible says that love is a part of the commandments of Christ. As a part cannot be greater than the whole, it means that love is a part of the entire teachings of God. Therefore, to suggest that love is greater than doctrine is an insult to God and the intellect, as well as being a claim based on an inept knowledge of scripture. Doctrine is the entire Bible… everything in it. Doctrine = teaching (see my website to read the longer paper on this, A/81, ‘Doctrine’). God cannot say anything irrelevant or unworthy, so all scripture is good. Because all scripture is doctrine, no part of it can be of less value. And that holds true even today. Anything that opposes or changes scripture is false. ‘Love’ is an aspect of doctrine. So, love cannot be greater than doctrine. Jesus made the keeping of His commandments (commandments = teachings =doctrine) a test of love for Him. In saying that, He made a doctrinal statement! There are not ‘many doctrines’ – there is only one, unified doctrine of God. The various teachings of the Bible are merely aspects of that one doctrine. Interestingly, the ONLY examples of the plural ‘doctrines’, are ‘doctrines of men’ (Mat 15:9 et al) and ‘doctrines of devils’ (1 Tim.4:1). Both are damaging to the spirit and are referred to as “divers and strange” (Hebrews 13:9, xenos – alien knowledge, unprofitable). At times, doctrine can and should separate brethren from brethren, when they distort the truth to an intolerable degree (heresy). And, doctrine certainly infinitely separates brethren from unbelievers. We cannot accept what God hates and what He condemns. Hence the need to publicly denounce heresy. Doctrine, then, is the essence of our faith. Love is a part of that doctrine. Thus, to really love God or human beings is to come to grips with doctrine – the whole counsel of God. Doctrine refers only to declared scripture (ie the Bible). We may only expand on what has already been given; there can be no extra revelations, nor can anything be removed, ignored, or changed to suit ‘modern times’. This is because whatever God says is eternal. Otherwise He cannot be God and what He says is worthless. That is why Paul instructs us to have nothing to do with the ideas and instructions put forward by men: “Be not carried about with divers and strange doctrines.” (Hebrews 13:9, and elsewhere referred to as the “philosophies of men”; see Col.2:8). One way we can be “carried about” by strange teachings is to insist that we have the right to interpret scripture as we see fit. 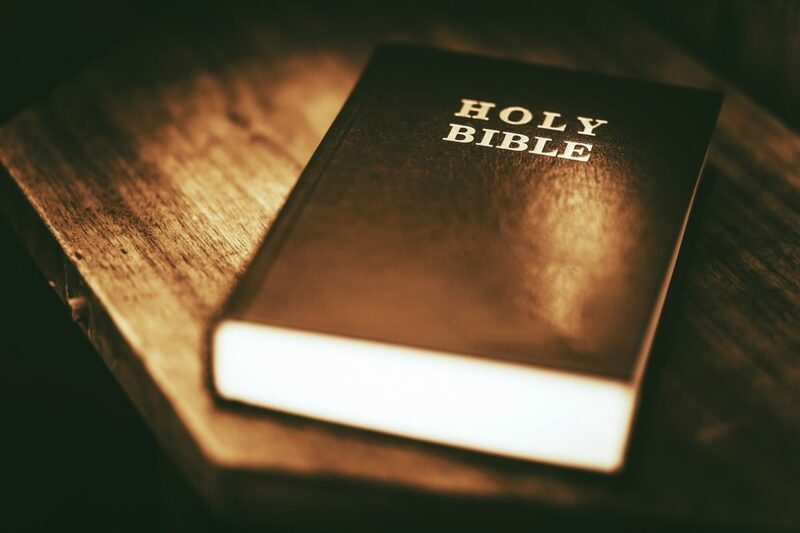 Just as every man and woman is an instant expert on the government of their own country, so every Christian thinks he or she is a Bible teacher – with disastrous results! Logic should surely tell us that if there is only one Truth, then there can be only one interpretation. But, no – all Christians claim that their own ‘interpretation’ is correct, no matter what scripture actually says. (Please note: true interpretation is not opinion, but is rooted in the actual original language word meanings as found in scripture, and is determined not just by the various meanings, but also by the context of those words, and comparison to the same words in varying contexts. This is VERY precise). Those who do not learn doctrine are fools! False doctrine is now found everywhere. It has always existed, but then rejected and opposed publicly by genuine Christians. Today, such spiritual falsity is not just made public – it is blurted out as a matter of pride! In this way what might appear to be divisions within the Church to outsiders is actually infiltration of the TRUE Church by enemies of Christ, and by a legion of ignorant, arrogant people who want the privilege of being called ‘Christian’ but who refuse to gain real knowledge. It must be repeated – no scripture is of personal interpretation (2 Peter 1:20. This refers to personalising interpretation of prophecy. The meaning of ‘prophecy’ includes the teaching of true doctrine).